Dynamic Host Configuration Protocol (DHCP) is an auto-configuration protocol used on IP networks. The protocol simplifies addressing, making it particularly useful in enterprise networks where the volume of connected devices can be immense. Dynamic Host Configuration Protocol (DHCP) is used widely in enterprise network applications to automatically assign Internet Protocol (IP) addresses to connected equipment. A computer, router or switch with the capability to act as a DHCP server can issue IP addresses dynamically from a range or “pool” of pre-programmed addresses. The server responds to an address request from a DHCP client with an IP assignment which it “leases” to the client for a specific time. Lease time is a parameter set in the DHCP server that controls when the client must reapply for an IP address. Before the lease is scheduled to expire, the DHCP client must renew the lease with the server by sending a new request. If equipment is removed from the network, its IP address is free to be used by another network device after the existing lease time expires. Dynamic IP assignment is useful anytime connected equipment does not need a fixed IP address. However, most industrial process control applications require a specific IP address for each control component. For these sites, fixed IP assignments are critical to the seamless operation of the control network. When new components are added to the control network, their initial setup includes the registration of their IP addresses with its process controller or PLC. In control environments, the component must maintain this assignment for a lifetime. This association must remain intact, otherwise, the controller cannot locate the device on the network. When a component is replaced, the new device must be assigned the same IP address to be recognized by its controller. DHCP Option 82 relay switches can be used in conjunction with a DHCP Server to designate IP addresses for field devices connected to specified ports on the relay switch. The DHCP Server can have an Option 82 relay switch connected to each port. The relay will intercept DHCP requests from field devices connected to its ports and will create a unicast message to the server with the request and a circuit ID. The circuit ID contains the IP address of the relay and port number over which the DHCP request was received. The DHCP server will lookup the IP address assigned to that circuit ID and will respond to the relay switch. The relay switch passes this response to the client device that requested the IP address via the port indicated by the circuit ID. The key benefit of DHCP Option 82 is that the equipment on each relay port can be replaced at any time and will receive the IP address assigned to that port. This means that anyone can replace control devices without the need to program an IP address. The server will assign the same IP address to the new component as long as it is connected to the same switch port. This function simplifies field maintenance and reduces recovery time caused by failed equipment. NOTE: A switch may not receive its IP address from a relay agent using Option 82 if it is connected to the DHCP server via another agent. With Option 61, the DHCP server can provide a preprogrammed IP address to field devices based on their Media Access Control (MAC) Address or an entered ID. This option allows the equipment to move from one part of the network to another while maintaining the same IP address. Option 61 is also useful when test equipment must maintain the same IP address while being moved to various locations for testing purposes. Additionally, it is used for IP telephone systems allowing the phone to be relocated while maintaining the same phone number (ID). This form of IP allocation doesn’t require a full-featured DHCP Server to be present. The port or local IP address is assigned per port as part of the switch setup. The switch will intercept the DHCP request from the field device and respond to the request with the IP address provided for that port. N-Tron’s N-Ring™ and Rapid Spanning Tree ring management protocols are fully compatible with all DHCP address allocation methods. N-Ring topology permits only one N-Ring manager. Redundancy can be accomplished using N-Link to couple two N-Rings. It is the customer's responsibility to review the advice provided herein and its applicability to the system. Red Lion makes no representation about specific knowledge of the customer's system or the specific performance of the system. Red Lion is not responsible for any damage to equipment or connected systems. The use of this document is at your own risk. Red Lion standard product warranty applies. 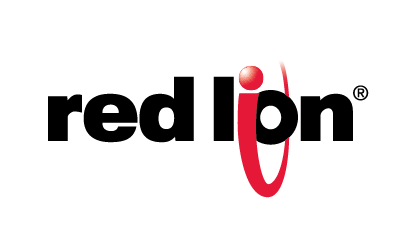 If you have any questions or trouble contact Red Lion Technical Support by clicking here or calling 1-877-432-9908.